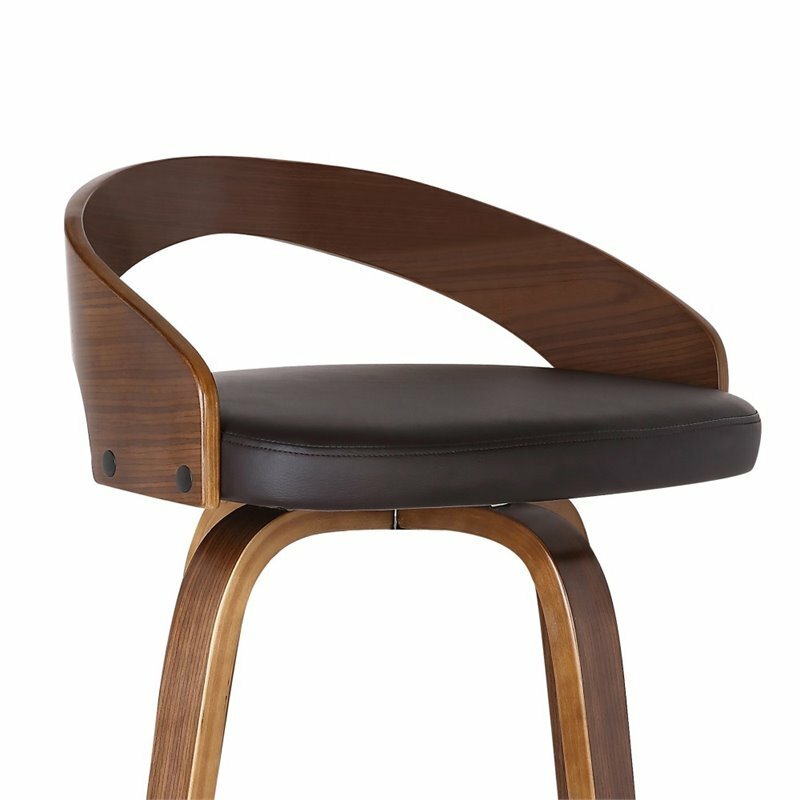 Add Mid-Century Modern design to your home with this Barstool. It is beautifully designed with a sturdy 360 degree footrest in carefully crafted in top-quality Walnut wood finish, but also expertly upholstered with Brown PU upholstery and Walnut Back. This piece provides both style and function with eye-catching contoured wood back that can easily be integrated into your homes existing decor.